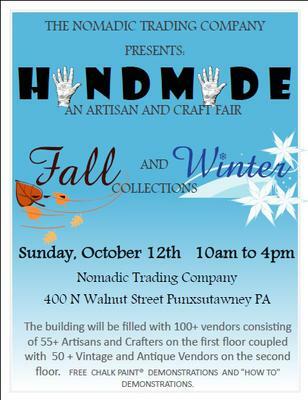 The Nomadic Trading Company is hosting an all “Handmade” Artisan and Craft Fair. The building will be filled with 100+ vendors consisting of over 55+ artisans and crafters on the first floor coupled with 50+ vintage and antique vendors on the second floor. Our “handmade” fair vendors are coming from 8 different counties, 30 cities, as far as Pittsburgh and Erie, to bring you a unique shopping experience. Free painting and “how to” demonstrations by many of our vendors. 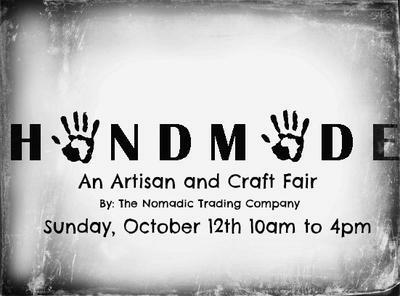 Sorry - the fair is full -- but please head to www.nomadictradingcompany.net to apply to future shows! thank you. 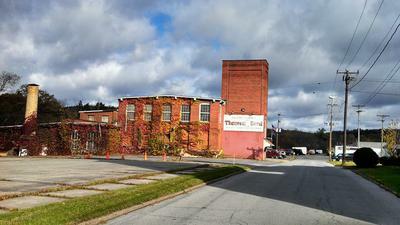 Thank you for sharing all the beautiful photos of the "Handmade" Artisan and Craft Fair in October, 2014. Wishing you much success!